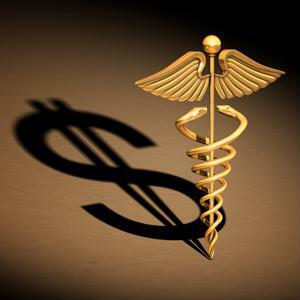 The cost of receiving care in the United States has come under intense scrutiny as of late. The nation's Affordable Care Act aims to mitigate these concerns, yet medical professionals are concerned that innovation and quality may be forfeited in the process. According to Kaiser Health News, after conducting an extensive spend analysis, United Health Care Workers West (SEIU-UHW) began collecting signatures to pass two new financial measures to be implemented into California's medical treatment market. In an effort to reduce hospital care expenses, the organization is pushing the cap on what facilities can charge to 25 percent above the actual cost of services, claiming that patients typically pay 320 percent above the original mark-up. In addition, the union also wants to cap the salaries of CEOs working at non profit hospitals to $450,000 a year. SEIU-UHW President Dave Regan claimed that the two initiatives will reduce the overall cost of health care in California, stating further that hospitals are the greatest contributor to exorbitant treatment rates. After consulting the records management systems of facilities throughout the state, the California Hospital Association (CHA) claimed that the majority of patients don't actually pay the entirety of their bills. Many large insurance companies typically pay negotiated rates for their clients. "The hospital association says capping charges would cut $12 billion annually from hospital revenues statewide, forcing cutbacks in staff and services," the article noted. Many health care professionals have encountered a severe lack of knowledge of the industry when communicating with the public. Marc Grodman, a contributor to The Hill, noted that while the U.S. medical system created minimally invasive surgery, human genome sequencing and organ transplantation, the current industry climate may not foster the same innovation that has shaped contemporary practices. "The need to manage cost is clear," said Grodman. "Health spending has grown faster than incomes and overall economic output for decades, with annual increases of 8 percent throughout the early 2000s." Grodman stated that Medicare, the U.S.' largest payer of health care expenses, has been making extensive payment cuts for hospitals, doctors and laboratories after reviewing its spend management plan. He claimed that some of these reductions have been counterproductive due to the small savings produced as a result. For example, much of the clinical testing conducted to identify specific cancer types represents 2 percent of the organization's annual spending, but provides doctors with potentially life-saving information. As opposed to handling spend analysis tasks on their own, health care providers and insurers may be better off outsourcing such responsibilities to organizations with enhanced data tools and an eye for finance.